12/23/2014 -- Machine Incorporated, a modern, high-tech, and quality-minded AS9100 manufacturer, is pleased to announce that it has acquired Mid-Sota Aircraft Technologies, headquartered in Minnesota, and renamed it Oplite Technologies. Through this venture, Machine Inc. expands its product line to develop and produce light emitting diode (LED) lighting products that meet applicable requirements for use in aerospace and aircraft applications in certified and experimental markets. Proudly made in the U.S.A., all products are designed, manufactured, assembled, and tested in accordance with Federal Aviation Administration-Parts Manufacturer Approval (FAA-PMA) quality standards. Products are FAA-PMA approved for direct replacement of legacy Cessna map lights. Richard Mileika, President of Machine Inc., said, "The acquisition of Mid-Sota Aircraft Technologies perfectly complements our growing portfolio of precision-machined components and assemblies for a wide range of industries. 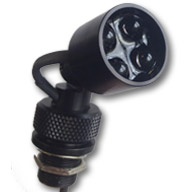 The LED map light series has potential usage in industrial (OEMs), commercial, recreational vehicle (RV), marine, and military applications, too. These lights perform exemplary as cabin, cockpit, and instrument panel lights and have diverse task lighting capabilities. With a new name, Oplite Technologies, and logo and website in the works, we plan to roll-out the new brand in other markets early next year." He further concluded, "Over the years, Machine Inc. has established strong supply-chain relationships and we are confident that we will greatly benefit from the knowledge and expertise of the Mid-Sota workforce to further enhance our value proposition and reach." For more information on Mid-Sota Aircraft Technologies, visit http://www.mid-sota.com/.